This day was perfect. The only unexpected curve ball was the fact that we had 30MPH winds that were a little intense at times! 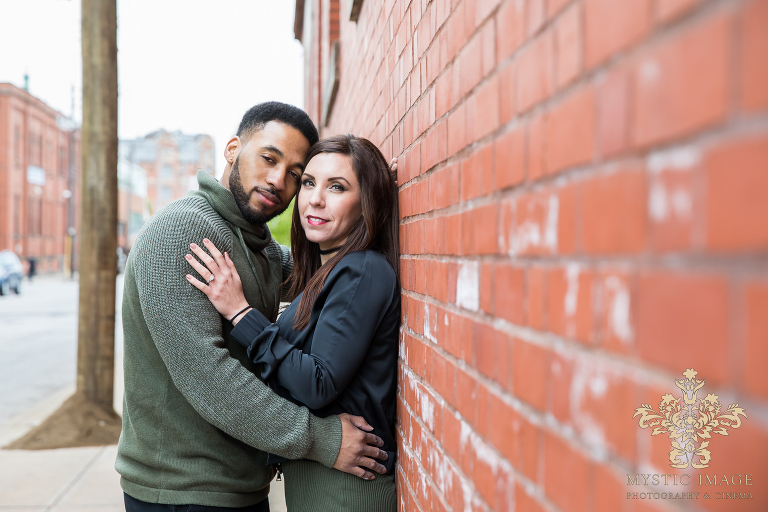 That meant a little bit of a windchill, but honestly, it didn’t seem to phase Lindsey or D’Andre! They were up for anything!! 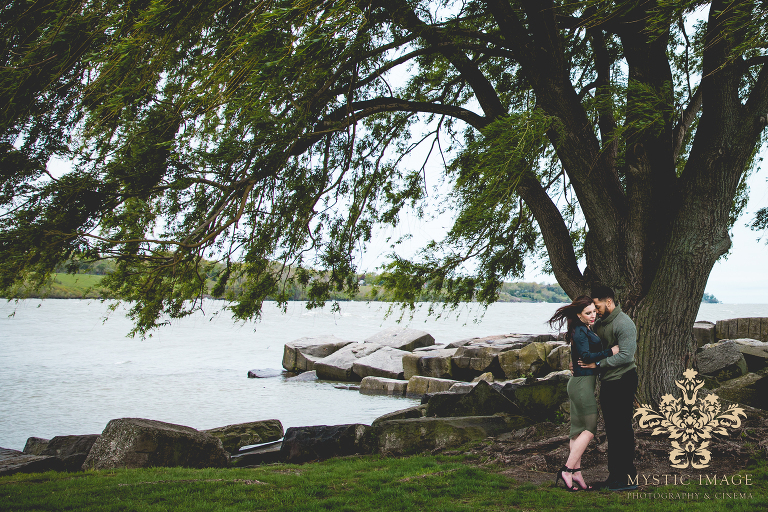 Just because it was a little chilly didn’t mean we were going to miss out on our engagement session! 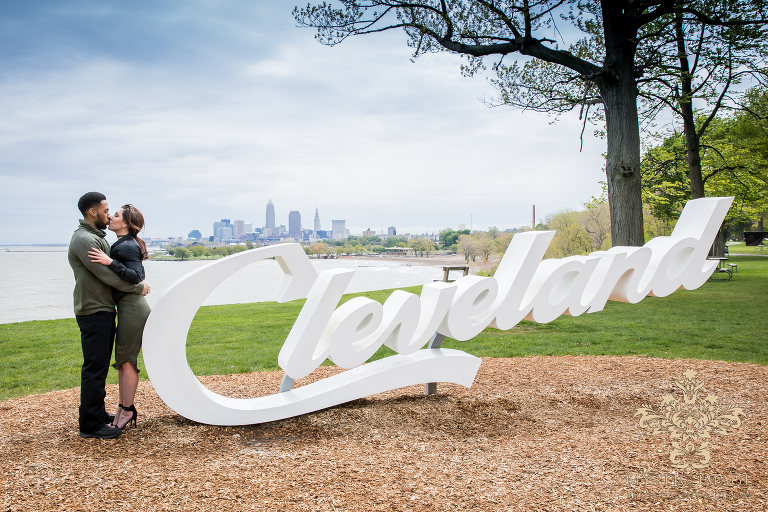 We drove around various spots along Edgewater Park where Lindsey and D’Andre go running and then headed over to the Ohio City area right around where they currently live. We even stopped in at one of their favorite spot to eat before our session ended. 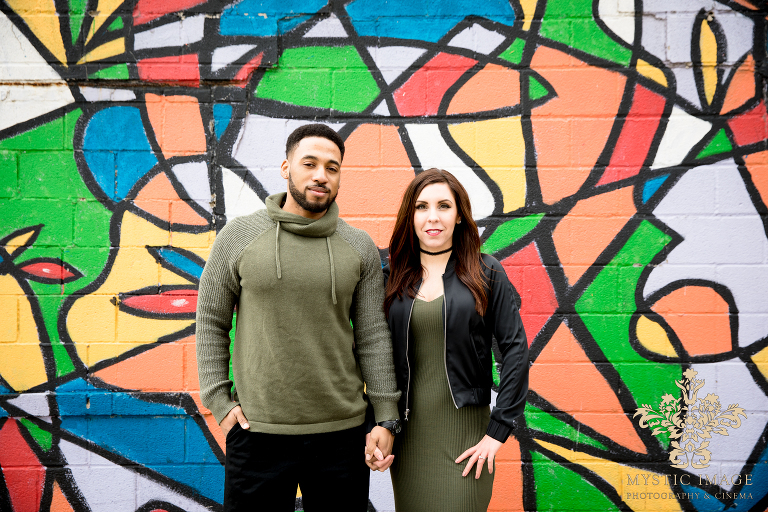 I can really relate to a couple when their priorities are 1. having fun, 2. getting great photos and 3. getting great food! 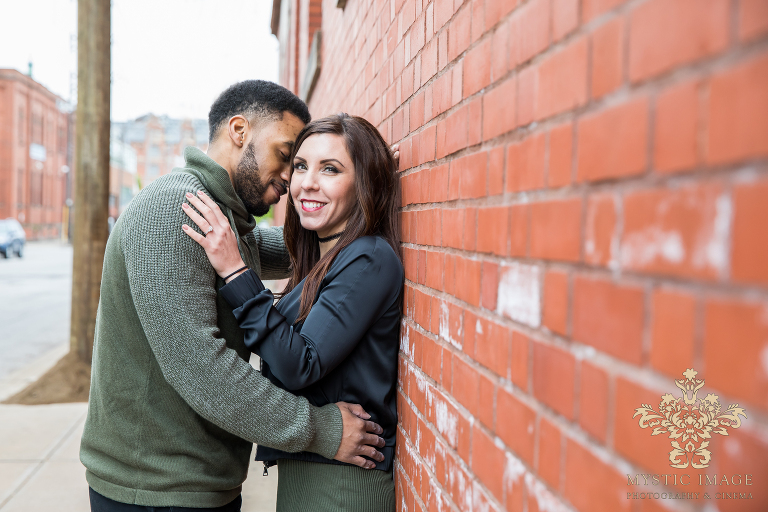 Lindsey and D’Andre… I cannot wait to photograph your wedding later this year. The two of you make such a charming couple and I love the way that you can just cut loose and laugh at one another. We are going to have such an amazing day and create even more beautiful photos and memories together!! !